How to Enhance the Natural Light in Your Home? A well-lighted house appears more attractive and refreshing. Usually, the constructional features of a house play a key role in making a building brighter or darker from the inside. This is something you need to take care of while constructing a house. A modern construction company in Pakistan would prefer designing and constructing a house which is more airy and allows the sunlight to enlighten the building’s interior. What is the way of enhancing the natural light in existing homes? Are the owners supposed to go for major remodeling or renovations to make their homes airy and brighter? The structural changes would surely consume a lot of budget as well as time. Therefore, to enhance the natural light in your house without going through hassles you need making following improvements in your house interior. Mirrors’ have a reflecting feature which makes them highly useful in creating a bright interior. Thus, you can hang a mirror on the wall opposite to the window which will amplify the natural light, ultimately making an area brighter. Instead of simply placing the mirrors, you can use them in a stylish way or hang the decorative materials which have reflective mirror surface on them. A lighter color, especially white has the ability to reflect natural light as compared to the darker shades. You can paint your house in different light paint colors such as blue, green, pistachio, off-white and shades of grey because these are good in reflecting natural light. Additionally, you can also use metallic finishes on the ceilings. Other than the paints, you should also take care of the colors, for the rest of the accessories of your house. For instance, the upholstery colors should also be light and bright. Moreover, the colors of the curtains also have a key role in making a room brighter or darker. Sometimes, despite getting white or any the light-colored curtain, you remain unable to make your house look brighter. This is because the thicker fabric does not let the outside light in. Therefore, try to use lighter fabric in brighter shades; you will really notice a big change. Go for the window treatments which promote brighter ambiance inside your house. For instance, instead of using light-blocking window treatments, you can apply translucent shades which serve the dual purpose – providing privacy and allowing the light to pass through. If walls are white, you can simply use the same color on the ceiling. However, in case walls are painted with a color other than white, you can paint the ceilings with the lighter shades of the same colors or you can use white paint. Do not think that over accessorizing is any technique to make your home look stylish. 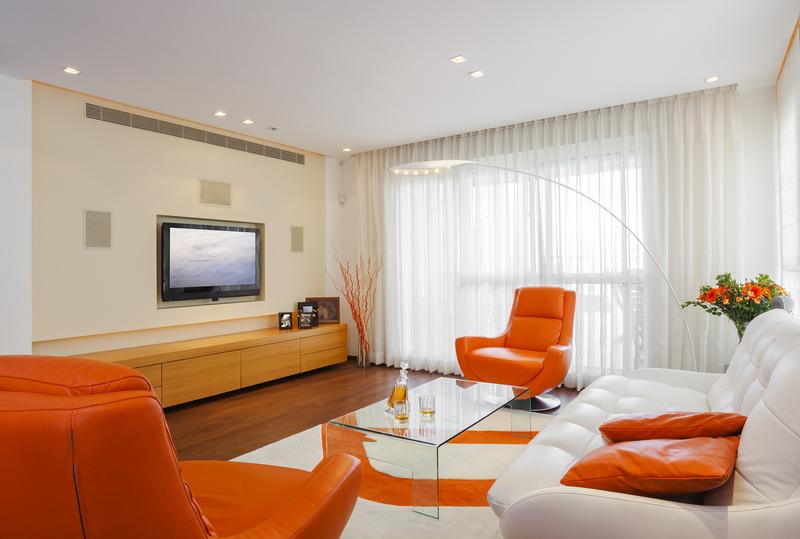 You should accessorize an area in your house in a way that it can provide easier passage for the natural light. Sometimes placing too much of items, you block the entrance of natural light. Even sometimes, due to lack of place, people place some items in-front of the windows. Using skylights is a good idea to allow the natural light to let in. However, for a single room, you can’t go with this idea. For the time being, adding a skylight may seem a costlier option but it benefits you in the long run because you can cut down your electricity bill to a greater extent. Thus, by making little improvements, you can make your existing home, brighter and airy. For the best work, you can hire the services of top architect in Pakistan, because he, being a professional can carve out better ways of making your house look brighter.